A good workman praises his tools! Products are nothing without the right tools for a project in hand...literally! Whether you are a DIY enthusiast wanting to go it alone, or a tradesman looking for specialist equipment for a one-off job, you will value being able to get hold of quality tools that are going to save you time, expense and energy as well as help you create a professional finish, that doesn't cut corners and makes your life, and work, easier! If you work in the building trade then investing in purchasing tools may be the most cost-effective plan so that you can add to your assets with quality equipment that will work for you time and time again. 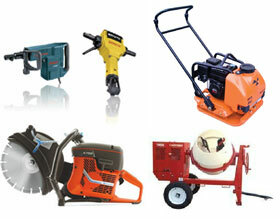 Want to rent or buy tools? Find out if we have what you need in stock!